Stephen Riley Photography: Somerset: March 2013: Photography in Stockport, Greater Manchester last week: Fantastic shots of a giant scale model of the Space Shuttle Discovery. March 2013: Photography in Stockport, Greater Manchester last week: Fantastic shots of a giant scale model of the Space Shuttle Discovery. On behalf of two friends raising money for charity, did a photoshoot of a large model of the Space Shuttle Discovery, which was to be auctioned as part of the money-raising venture. 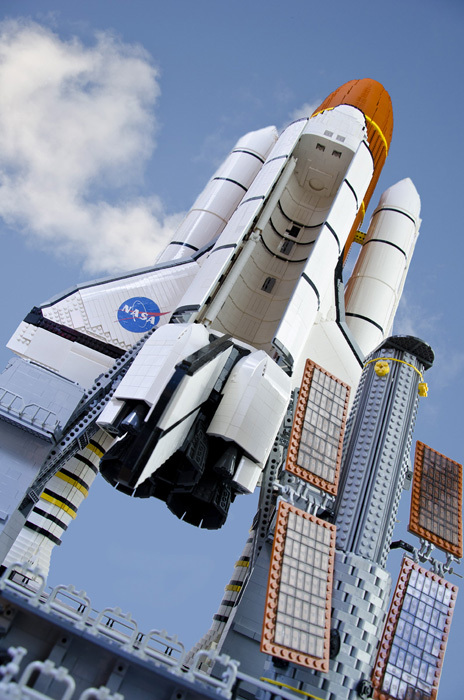 The model, built entirely from standard parts from a famous design of building block, without glue or extraneous parts, is made precisely to scale, with keen attention to detail and even includes a building-block Hubble Telescope, which fits into the working loading bay.